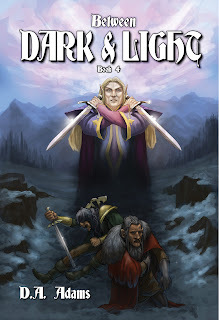 Full Moon Bites: Character Interview with Torkdohn from Between Dark and Light by D.A. Adams! 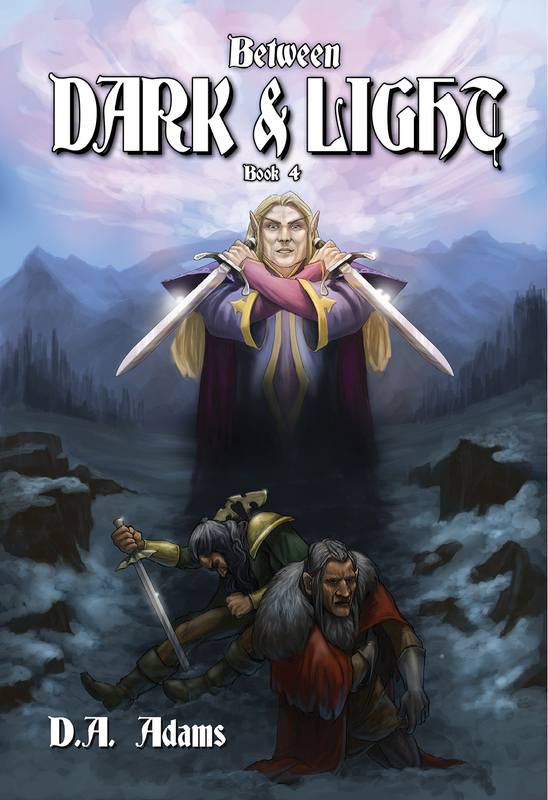 Character Interview with Torkdohn from Between Dark and Light by D.A. Adams! Tony asks: What was the motivating factor that started you selling slaves, was it hate, greed, or something else? Torkdohn: I’m just an honest business person. Why do you think it must be hate? I don’t hate the dwarves I sell any more than a farmer hates his cows. It’s just a business transaction. And why do you view greed as something negative? Is the spider greedy when it snares a fly? I live by the laws of my land, nothing more, nothing less. Perhaps you are just jealous because you don’t have the guts to do my job. You’re no better than those shiftless dwarves who cower before the humans, accepting their subordinate status like mindless little ants. For my courage to do what must be done, I stand as an equal to all. 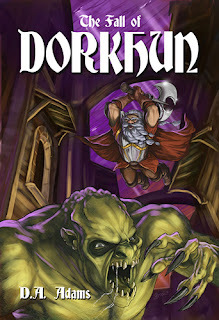 Kristie asks: You know, Torkdohn, the more I find out about you, the more I think, "Wow. There just isn't a large enough crack in the Earth to open fast enough to swallow this guy." I mean, I'd rank you number two in the cowardly-villain contest, thinking someone might be worse. What are your thoughts on that, or do you even care? Torkdohn: Am I the one who ordered the Great Empire to invade my homeland? Am I the one who failed to protect the capital? 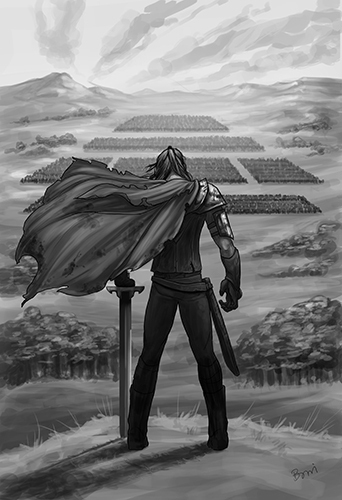 Am I the one who decreed all Ghaldeons must be engaged in productive business for the benefit of Emperor Vassa? No, no, and no. The reality of this kingdom was shattered and splintered, and I’ve done what I had to do to survive. The dwarves I’ve captured are lazy or stupid or both. If they had been working for the emperor as they were supposed to be, they wouldn’t have been in a position to be sold into slavery, so really, you should turn your judgmental observations on them. Alicia asks: Do you ever worry about being played like a chess piece by other humans and orcs as you sell slaves? I am always one step ahead of everyone else. The orcs are too stupid to outwit me, and the humans only care about the illusion of control. I travel the lands freely, never lacking for anything I desire, while other dwarves toil in menial jobs and beg for scraps. No one plays me like a chess piece. 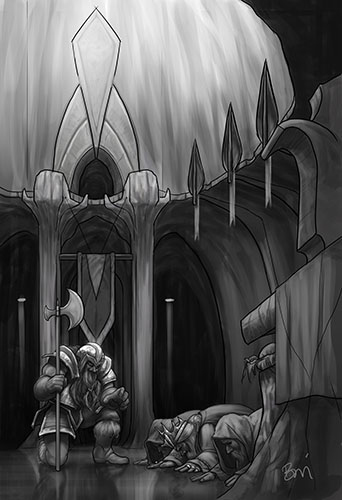 If there was no way of getting your revenge on Molgheon or anybody, would you consider just moving somewhere far away and restarting or retiring to a less complicated lifestyle? I will kill her, and her suffering will become lore. No one locks me in a cage and lives to tell about it. It’s not revenge. I seek justice. D.A. Adams: Are revenge and money all that matter to you? Torkdohn: Survival and prosperity are what matter to me. I didn’t create this world. I merely play by its rules. In the slave trade, a trader’s reputation is invaluable, so I must have justice to preserve my name. No one will buy from a merchant who lets a silly girl get the better of him. That’s the only reason I must have justice against Molgheon. D.A. 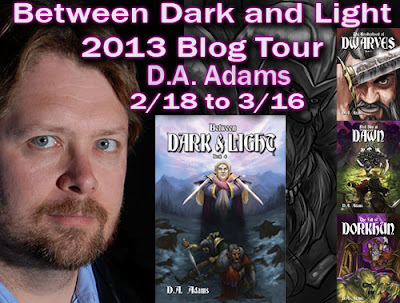 Adams: How did you see life growing up, and how do you see life now? Torkdohn: My father was a successful merchant with a lucrative trade route between Sturdeon and Turhjik. Before the invasion, we had a good life, but he couldn’t adapt to the new way, and his business disintegrated. All I did was take what I learned from him about running a successful route and apply it to the slave trade. There is no difference, really. Business is business. D.A. Adams: With this huge war going on, How do you plan on surviving? Torkdohn: The way I always do – by being of use to those in charge. The Great Empire will win eventually. My people are too broken and lazy to stand against them for long, so when the dust settles, I’ll continue to provide a service to the emperor by removing useless dwarves from her lands. If by some miracle the Ghaldeons do triumph, I’ll adapt to their new rules the way I always have. The stakes are higher than ever in the fourth installment of the popular dwarven saga! D. A. Adams is a novelist, a farmer, a professor of English, and in my estimation, a true gentleman. 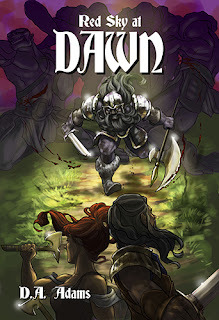 His breakout fantasy series, The Brotherhood of Dwarves, transcends genre and illuminates the human soul in all its flashes of glory and innumerable failings.